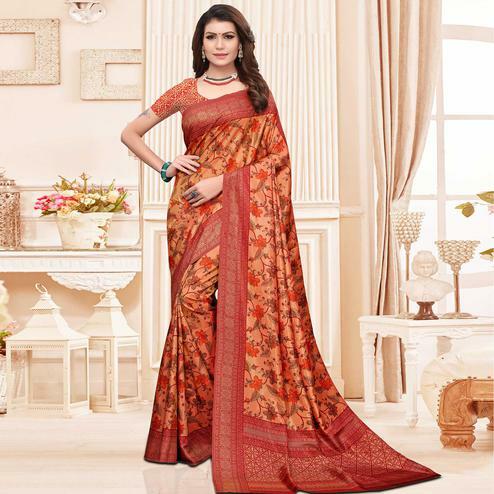 Include yourself in the glamour of the season with this majesty peach colored saree. 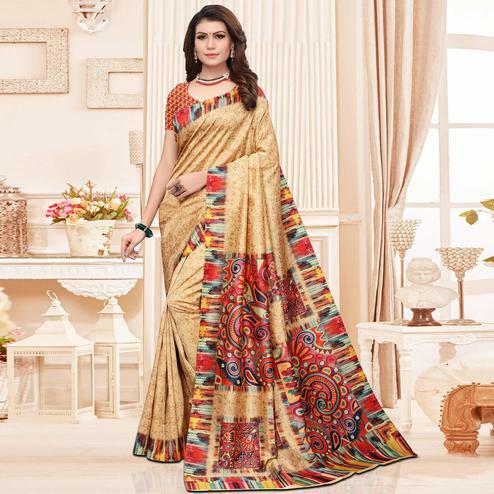 This saree is made of georgette fabric which is beautified with attractive floral prints. 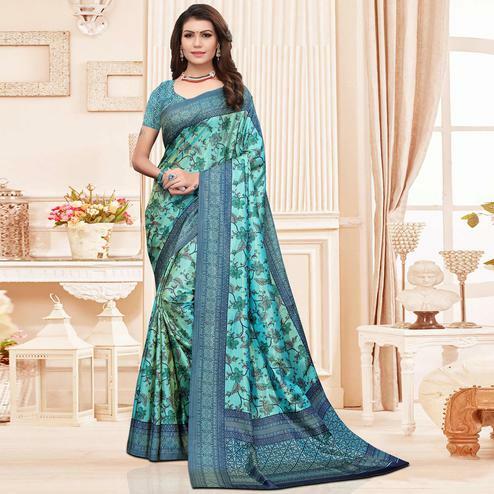 Paired with unstitched matching blouse piece, which can be stitched as per your style & requirement. 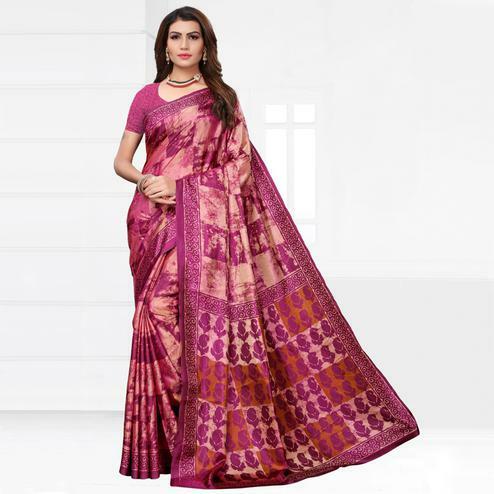 This saree would surely attract you showers of compliments when you wear it for casual parties, social outings, weekend get together, kitty parties, office. Team it with fashionable ethnic accessories and high heel for a complete look. Note:- The actual product may differ slightly in color and design from the one illustrated in the images.